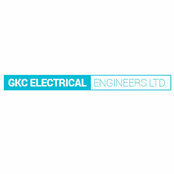 GKC Electrical engineers design, build and repair control panels including PLC programming and automation as per requirement. We offer a complete service, from initial design and consultation to manufacturing, installation, and subsequent technical support. We can produce from simple electrical control panels for basic start/stop/emergency-stop applications to more complex applications which require sophisticated control systems, integrated PLC software design, remote sensors, telemetry, and advanced interlocks to manage the interactions of multiple machines or entire production lines. At the same time, we can use intelligent HMI design to minimize the number of physical controls and to produce a control panel that is straightforward, simple, and safe to operate. Typical Job Costs:Basic cost call out fees are £100 from door to door + hourly rate of £40 if gkc supplies parts a markup of 30% will be added to the final price we are happy to arrange a personal rates depending on the level of regular work all prices are subject to VAT Minimum hourly rate is £40/hour from door to door Overtime may be charged depending on individual arrangements, Spare or replacement parts will have a minimum mark up of 30%.